Before starting check your eligibility. A personal signed letter addressed to the Correspondent with details of your project, including your date of departure. In your letter explain why this project interests you, and what you hope to get out of it. Say also how you propose to raise the balance of the travel costs, and what fundraising you have achieved to date. Send your letter as a PDF attached to your email. A recent informative CV. Try to give us a good sense of who you are and what you have achieved so far. Do not fill in an Interview Form. Applications open for Birmingham students on October 1, and on April 1 for applications from students in the surrounding area if there are still vacancies. All Applicants being considered for a Gap Year Grant will be invited for an interview in Birmingham. 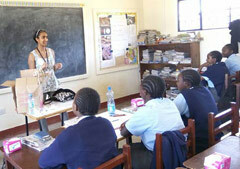 In 2016 the Trust awarded a Gap year grant to Zeinab Akhter to help with the costs of a Medicine and Healthcare project in Kenya with Projects Abroad. In 2017 the Trust awarded a Gap Year Grant to Leonie Jurkschat. 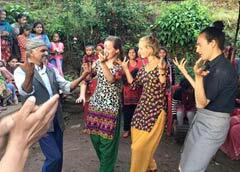 Leonie taught English in Nepal with Project Trust.